250 gram Umicore gold bar. These gold bars are delivered in their original packaging with a certificate of authenticity by the smelter. 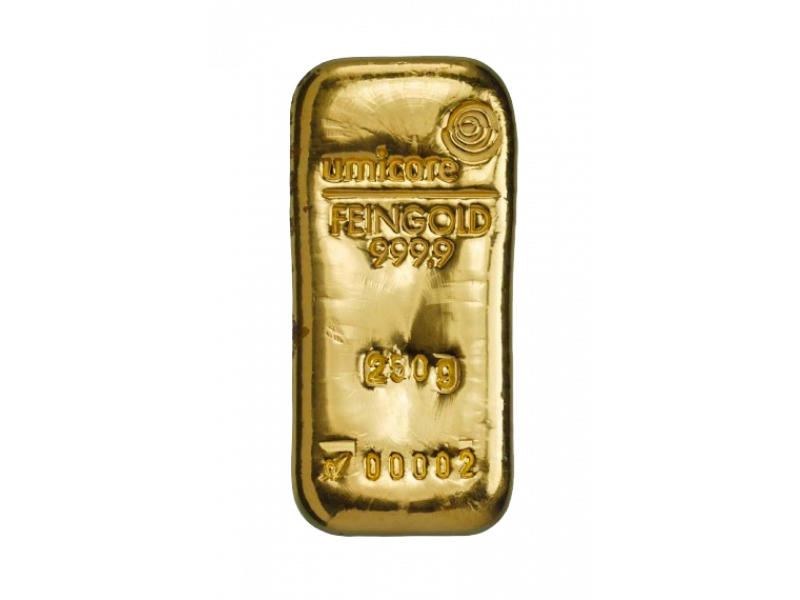 All gold bars are newly poured and recognized world wide making them easily traded. 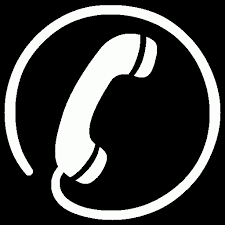 Umicore is a producer of gold and silver. They are accredited by the LBMA. 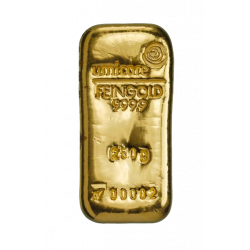 All of Umicore's gold bars are marked with the official Umicore Feingold 999.9 certification and weight. 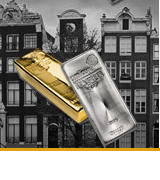 Umicore gold bars can be traded at any precious metal business or professional purchasing organization without needing any further analysis. Umicore gold bars are available in the following weights: 5 gram, 10 gram, 20 gram, 1 troy ounce (31,103 gram), 50 gram, 100 gram, 250 gram, 500 gram, 1 kilogram and 12,5 kilogram. 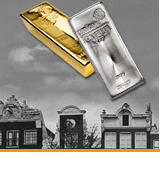 All gold bars are handled as investment gold and are therefore tax-free. 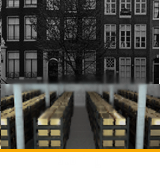 All gold bars weighing 250 gram or more possess a unique serial number and are delivered with a certificate of authenticity.